In the interest of full disclosure, I am not a Mad Men Fan. I have never seen the show but I am aware of its impact on fashion trends and I have always been a supporter of classic style cocktails after work. Banana Republic has been working with the Mad Men fashion designer to develop a Mad Men line of clothing and accessories. Based on the preview, I will need to save my clothing budget for August. The line has a few dresses that would make stunning bridesmaid attire and an amazing collection of suits and accessories for grooms and groomsmen. 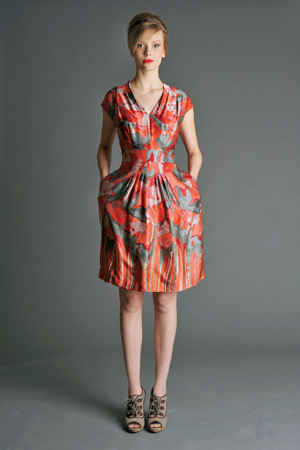 Outfitting your wedding party in this line would be a great way to kick off a Mad Men design for your wedding! Let me know if you need a recipe for an old fashioned to serve during cocktail hour!